Zooming Japan suggested Hamamatsu (浜松 / a city in Shizuoka Prefecture), Hakodate (函館 / a city in Hokkaido), Haneda Airport (羽田空港 / an airport near Tokyo), and hanafubuki (花吹雪 / falling cherry blossom); Japan Australia suggested hanabi (花火 / fireworks), hanami (花見 / cherry blossom viewing), Hakata (博多 / a city in Fukuoka Prefecture), and Hakone (箱根 / a town in Kanagawa Prefecture); and Jay Dee suggested Hakone, Hachimangu (八幡宮 / a series of shrines), habu (波布 / a type of snake in Okinawa), Harisenbon (ハリセンボン / both a comedy duo and a porcupinefish), hashi (はし / chopsticks or bridge), Hamada Masatoshi (浜田 雅功 / half of comedy duo Downtown), Hasedera (長谷寺 / a temple in Kamakura), and Hamamatsu. To be honest, Hakone is not a place I had ever considered until recently. I had heard of it, and been vaguely aware of being close to it whilst in Shizuoka, but it wasn’t until the last few months that I began to understand the reasons people go there. Hakone, which is is part of the Fuji-Hakone-Izu National Park (富士箱根伊豆国立公園), is a town in Kanagawa Prefecture. It’s just under 100 km from Tokyo, and very close to Mount Fuji, which was recently named a World Heritage site. 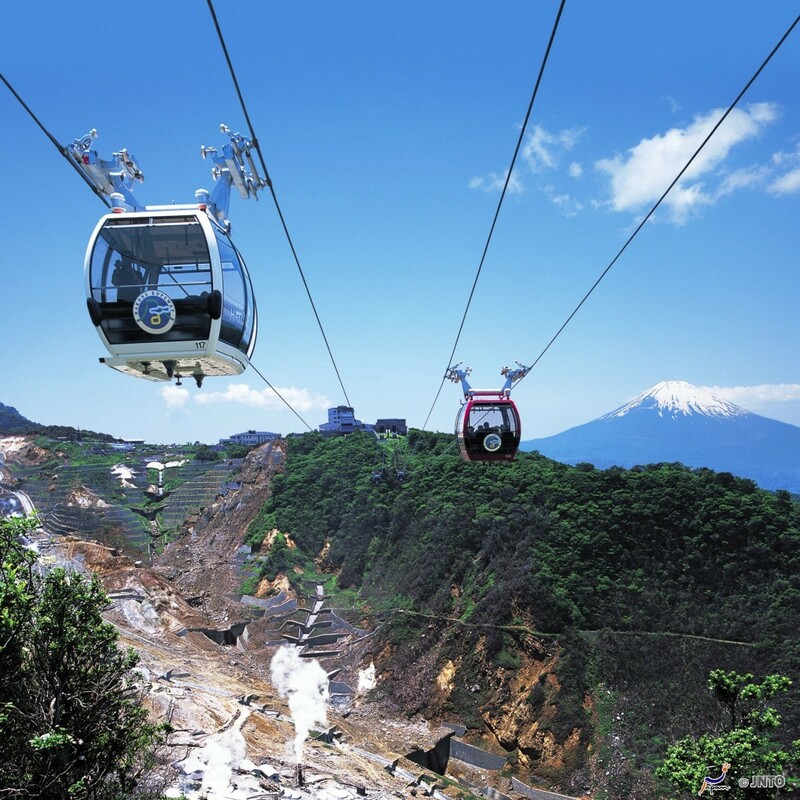 Its location makes it a great spot for visiting Mount Fuji, and also as a rural stop-off between Tokyo and the next city on your travel itinerary. The reason I never went to Hakone while living in Japan was that I thought the only reason to go there was for hot springs. I’m not a big fan of public bathing, and Hakone is known for its hot spring baths. 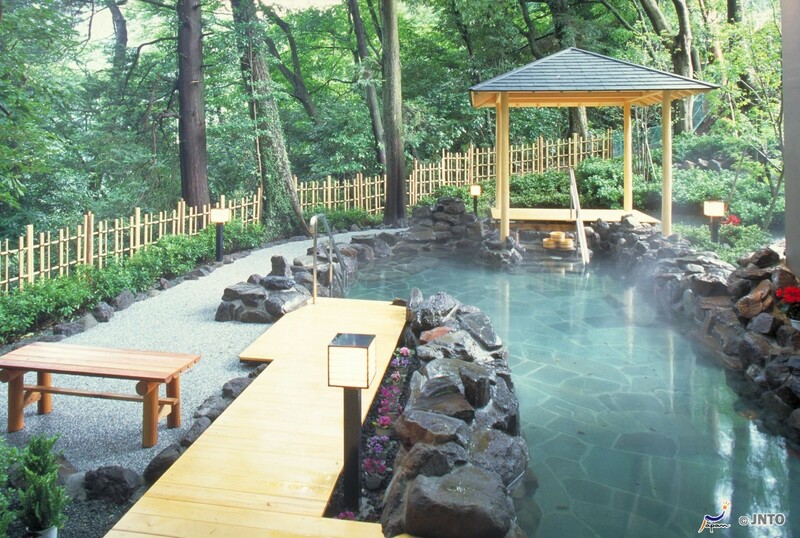 However, if hot spring baths aren’t your thing, Hakone still has a lot to offer! 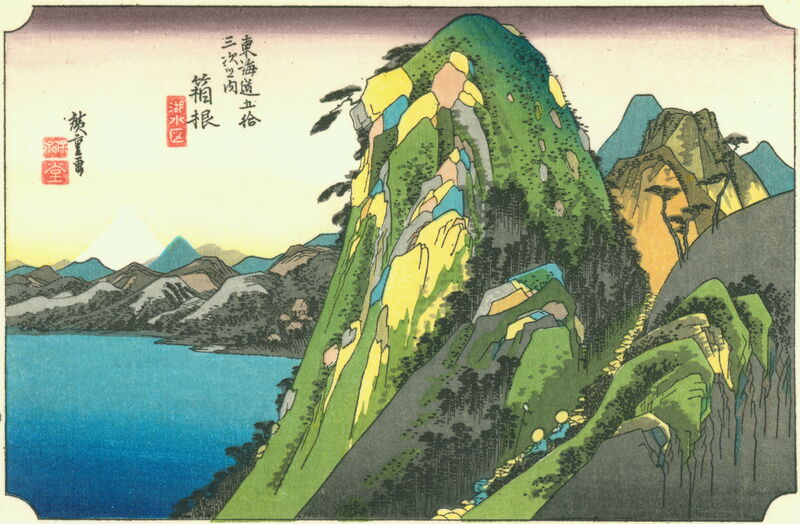 There is open-air art, Ashinoko (芦ノ湖 / Lake Ashi), hiking, black eggs, a pirate ship, and of course beautiful views. 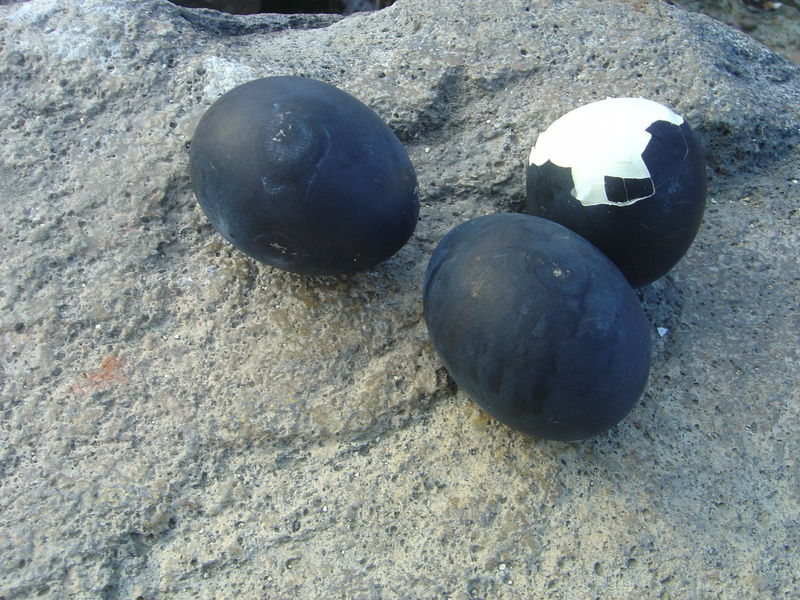 Other than onsen (hot springs), one of the things Hakone is well-known for is the black eggs of Owakudani (大涌谷), which means ‘Great Boiling Valley’. 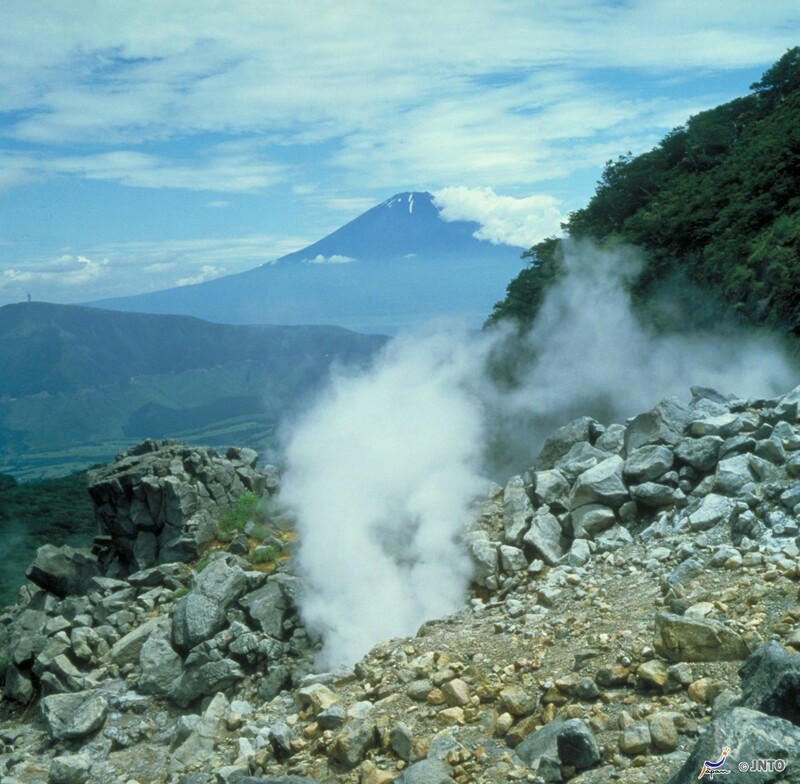 Owakudani is a volcanic area where sulphurous gases spew up from the ground with natural hot springs. The tourist attraction in this area is that you can buy eggs which have been cooked in naturally hot water with shells blackened by the sulphur. It is said these eggs prolong your life by seven years! 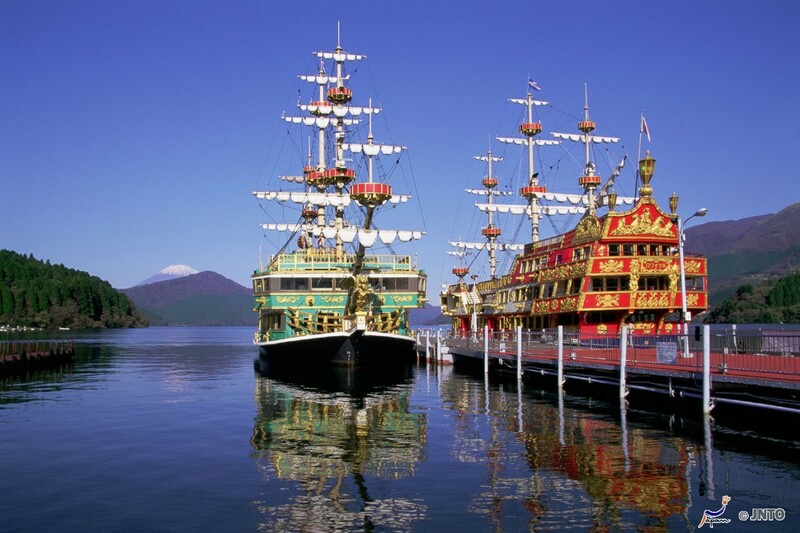 For something a bit unusual, whilst at Hakone you could take a cruise on a pirate ship. These pirate ship shaped boats, modelled on medieval sailing vessels, are actually Hakone Sightseeing Boats. It’s a bit tacky, but I think I’d like to ride on one! 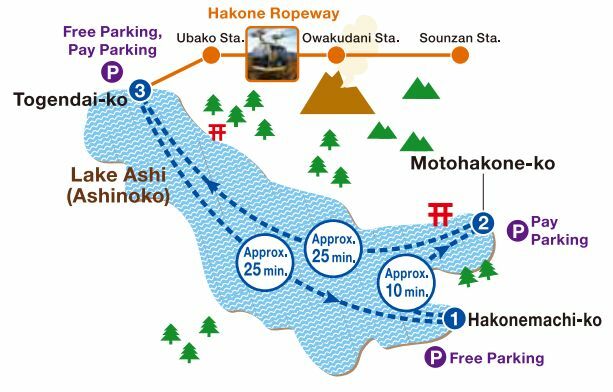 You can take the boat right across the lake and back, and if you stop at Togendai-ko you can then take the Hakone Ropeway (箱根ロープウェイ), which stops at Owakudani. Another reason to visit Hakone is the open-air art. 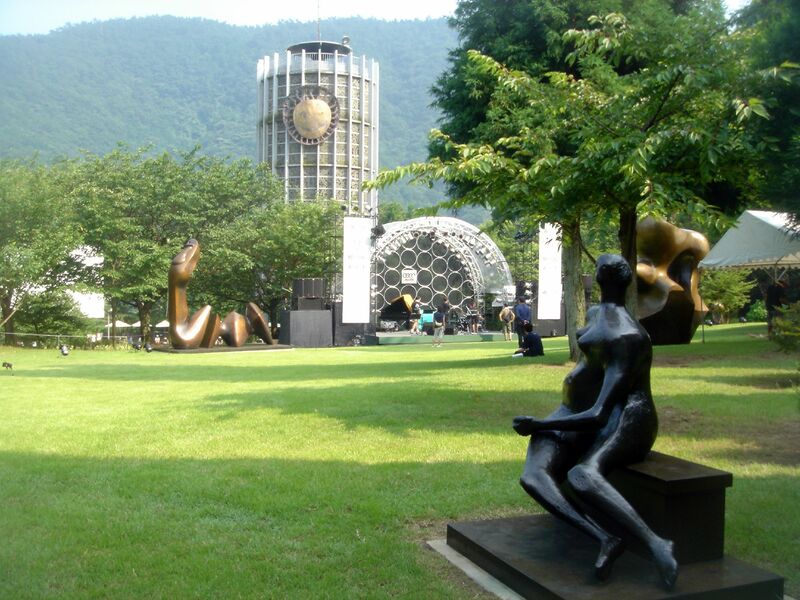 Whilst definitely not in the same league as Naoshima, the Hakone Open Air Museum (箱根彫刻の森美術館) boasts over 100 pieces of art spread out over 70,000 square metres of exhibition grounds. The Museum has a Picasso collection and a Henry Moore collection, as well as work from such world-famous artists as Rodin, Bourdelle, and Miro. Finally, if you need one more reason to visit Hakone, it was one of the stops on the old Tokaido (東海道). For me, this is reason enough to stop by, as I would love to trace as much of the old road as possible. The Checkpoint that travellers would have had to pass through has been reconstructed, and there is even a small museum there. 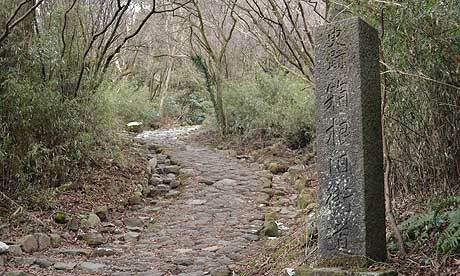 You can walk along a part of the old road – about 9km in length – and some of the original stone pavement remains. Along this route is also a reconstructed, family run tea house called Amazake Chaya. You can stop there and try amazake (甘酒), which is a hot, sweet rice wine. This Guardian article describes the ‘last teahouse on the Tokaido’ so beautifully that it makes me really want to go there and see it for myself. When I look at a map now I kick myself for not having visited Hakone whilst living in Japan. I was in a great location to go there, and it would have made an excellent weekend escape. Well, I’ll have to add it to the list for next time! 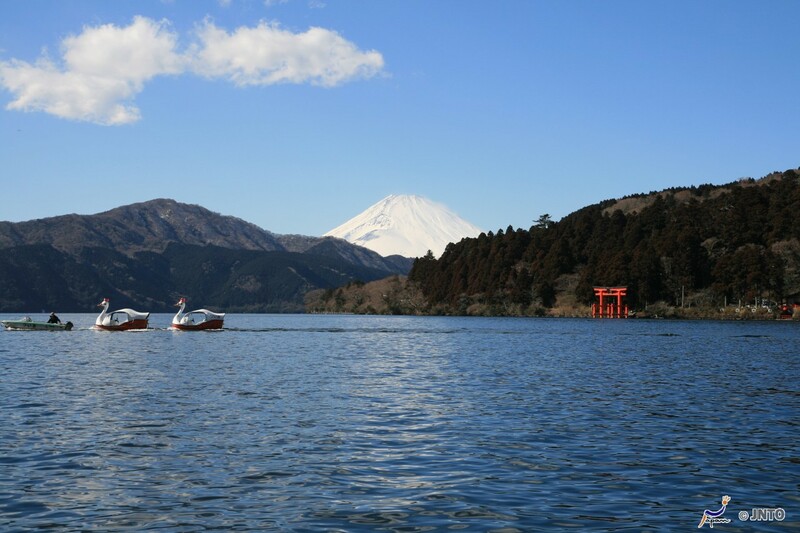 For more information about visiting Hakone, check out Hakone Navi and Japan Guide. Next week we’ll start with ひ (hi), so please leave a comment below suggesting a topic for things beginning with ひ. Topics can be anything, as long as they are connected to Japan – food, places, people, characters, whatever you want to hear about! Just remember that the words you suggest must be Japanese words. No problem! it was a great and very timely suggestion! I’ve been to Hakone more than once and in different seasons, but I’ve never seen sunshine nor Mt. Fuji when I was there. Nevertheless it’s quite nice there. The black eggs are awesome! Lots of tourists all year round, though. Thanks for the advice – I hope to go there next time I’m in Japan! For hi, I’d say Himeji, Hikone, Hiroshima, Hikawa jinja (the Saitama one is bigger), hina matsuri, hibachi, Hikawa Kiyoshi (if you like enka).